One ordinary woman connected to the extra-ordinary God can make difference! Having discovered peace and focus in her life, she is motivated to help women everywhere uncover their potential through a life of confidence and courage. Her writing career began shortly after she began attending church as a child. She wrote her first book under a tree on her family farm. As an adult, she has published more than 40 books including the best-seller Men Are Like Waffles, Women Are Like Spaghetti, 7 Simple Skills for Every Woman, Becoming a Brave New Woman, Devotions for Women on the Go!, Got Teens? (co-authored with Jill Savage), 52 Ways to Wow Your Husband; Red Hot Romance Tips for Women, 10 Secrets for Living Smart, Savvy and Strong and most recently Discovering Hope in the Psalms: A Creative Bible Study Experience (co-authored with Jean E. Jones and Karla Dornacher). 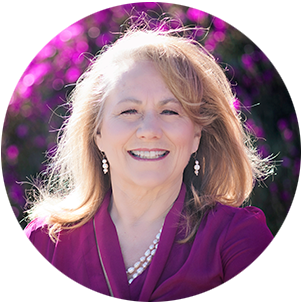 Pam is an engaging and energetic leader who has impacted women’s lives with her experience as an international speaker, Director of Women’s Ministry, radio co-host, newspaper columnist, pastor’s wife, youth leader and mentor. One of her unique abilities is to write and teach alongside her husband, Bill. Together they have authored many marriage and family books, including the best-selling Men Are Like Waffles, Women Are Like Spaghetti; Red Hot Monogamy; Secret Language of Successful Couples; 10 Best Decisions a Couple Can Make; A Couple’s Journey with God; and 10 Best Decisions a Parent Can Make. Together they have taught thousands around the world how to add wisdom to their most important relationships. Her books lay a terrific foundation for messages at special events, one day conferences and full weekend retreats. She can adapt and dovetail messages to fit your desired goals or theme. Pam has been endorsed by leaders, speakers and writers such as: Kay Arthur, Anita Renfroe, Carol Kent, Michelle McKinny Hammond, Jill Savage, Sharon Jaynes, Kerri Pomarolli, Stormie Omaritian, Jill Briscoe, Kathi Lipp, Fern Nichols, Shanti Feldhan, Darlene Schacht, J.P. Moreland PHD, Gary Chapman PhD, Kevin Leman PhD, Dr David Jeremiah, Dr. Ed Hindson, Lysa TerKeurst , Ron and Ann Mainse, Leslie Vernick, Donna Jones, Sean McDowell, PhD; Linda Evans Shepherd, Craig Hazen PhD, Jim Burns, Chad Eastham, Frank Pastore, Mitch Temple, Steve Arterburn, Carole Lewis, Kendra Smiley, Janet McHenry, Wendy Speake, Lucinda Mc Dowell, Denise Hughes, Grace, Fox, Clay Jones PhD, Karen Porter, Cynthia Ruchti, Pat Layton, Kenny Luck, Becky Harling, Jane Rubietta, Rhonda Rhea, Kathy Howard, Shannon Primicero,, Christin Ditchfield, Patsy Clairmont , Arlene Pellicane , Dr. Chris and Alisa Grace, Marcia Ramsland, Jennifer Kennedy Dean, Laura Petherbridge and many others. Pam speaks on many different subjects and to a wide variety of audiences: women, moms, parents, couples, singles, leaders, students, as well as audiences from business, military, community and church. She can customize a message for your event or retreat theme. This message is a “best of” all the many principles, truths and insights Pam has taught over the years that help women see themselves, their lives, their relationships, and their calling and career from God’s point of view. These messages help women envision the “future and hope” God has in store for them, then set and achieve goals to reach their God-given potential. Pam has broken down life’s complex questions and concerns into simple steps, simple skills, and simple decision- making tools that create a pathway to success. Her book, and these messages help women lower stress and raise the enjoyment of life and their relationships. These messages are themed around Proverbs 19:8 “The one who gets wisdom loves life…” and include scripture to help a woman accumulate wisdom for her life. This can be a stand-alone message, a Friday eve- Saturday workshop, a one-day conference or full weekend retreat. Be empowered by God’s greatness. Define what makes life meaningful for them. Stand confident in the face of obstacles. Move their lives forward no matter the challenge. Live a life of faith that their children will want to follow. Become someone others look up to. Discover the strength to follow-through on important goals. Wake up with enthusiasm for the day. Make the most of every season of life— from 16 to 96! Head home with more peace, hope, and happiness to live out a life to look forward to. Discover her unique calling in life. Learn to be more effective with less stress. Persevere through situations that are unpleasant. Experience less “drama” in her life. Celebrate Women or Hats Off to Women: (These are snapshots of 3 of Pam’s books for Women).